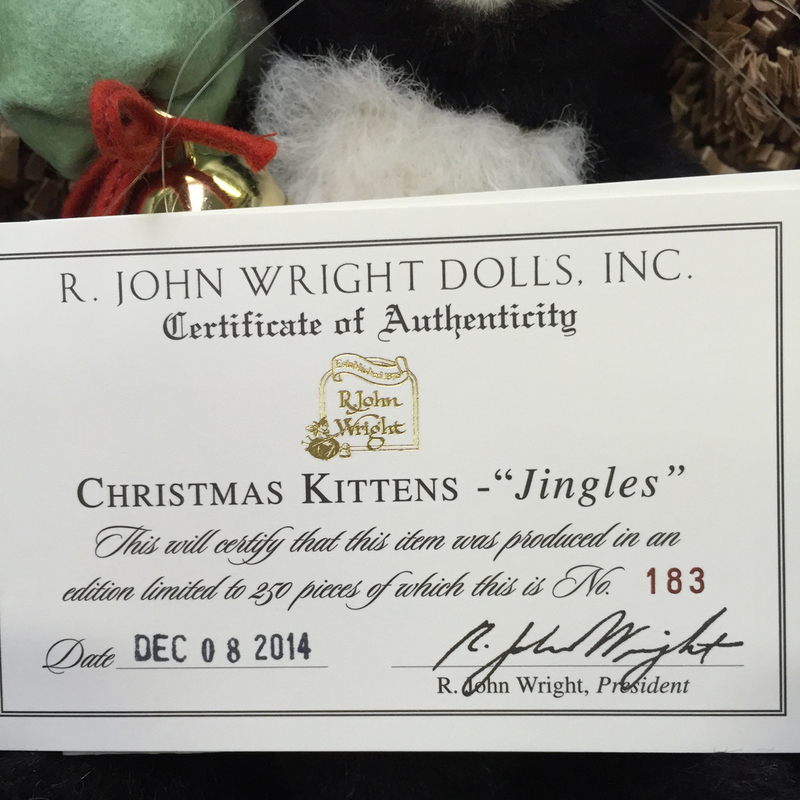 We are pleased to present "Jingles" - the 2014 Christmas Kitten! 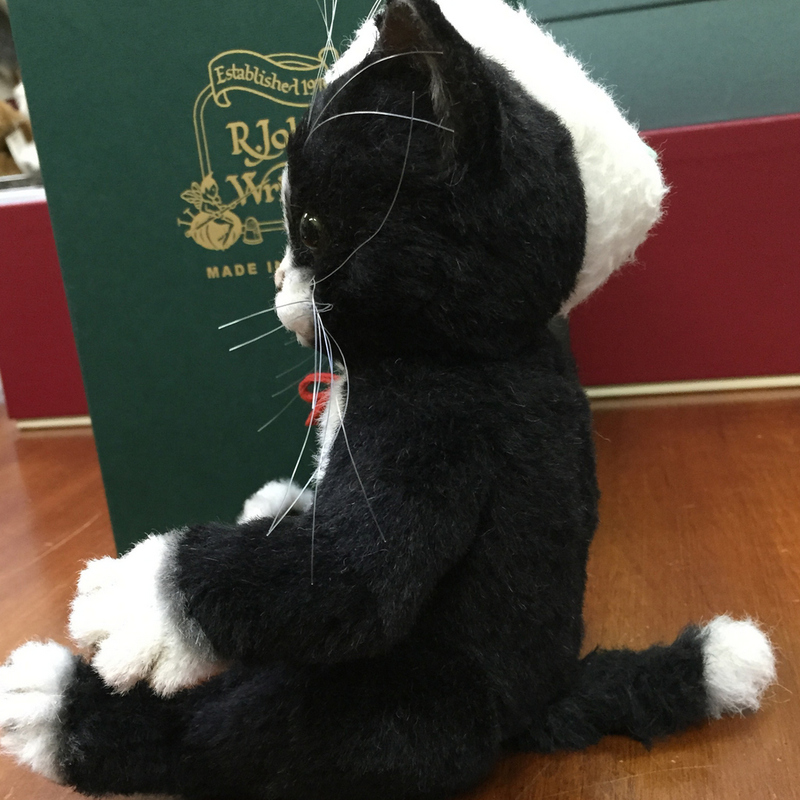 Cats and kittens are among the rarest of all RJW animals. 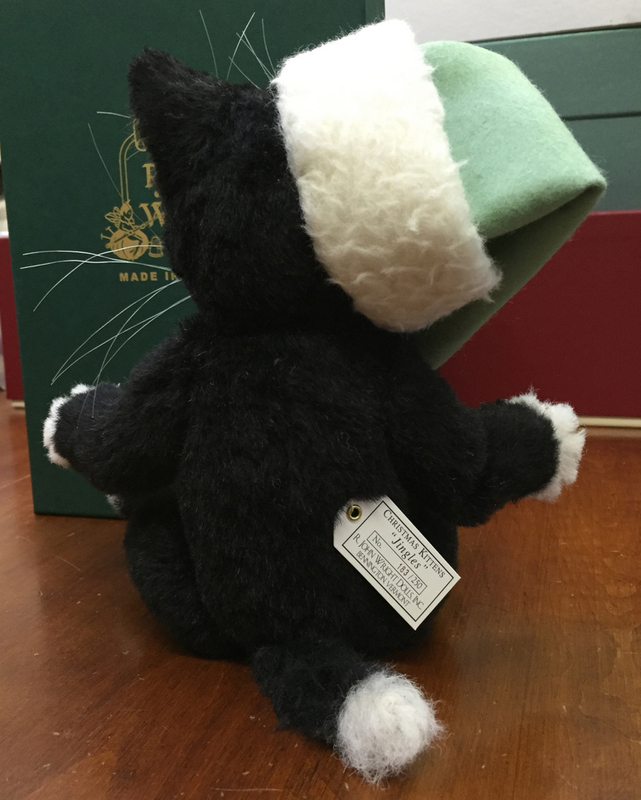 Tom Kitten and his sisters, Moppet and Mittens, were produced in 2004 as part of the Beatrix Potter Series. 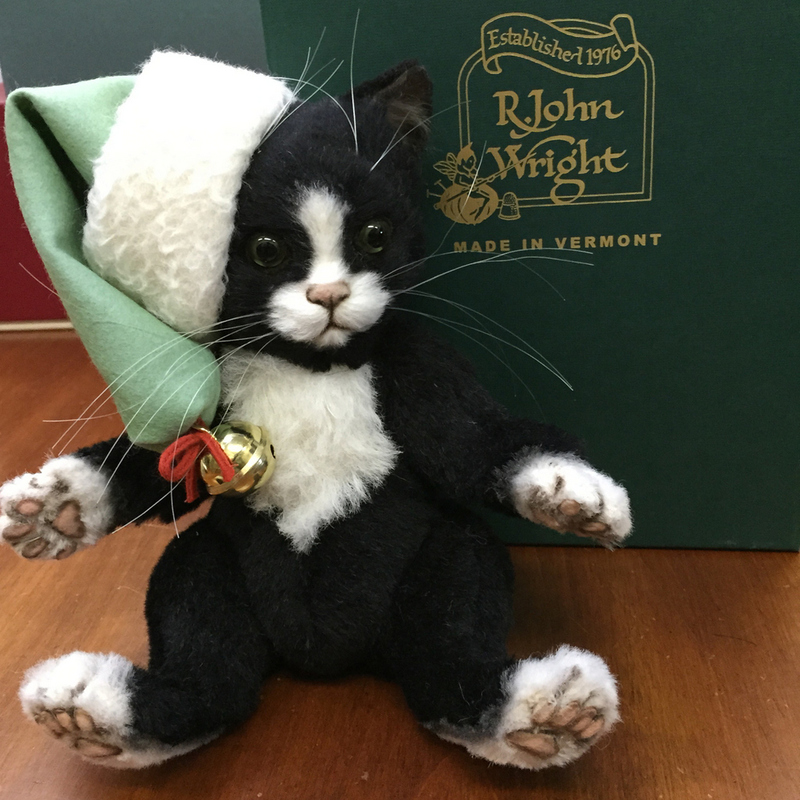 They were the only other feline editions from R. John Wright until the introduction of Snowball last year! 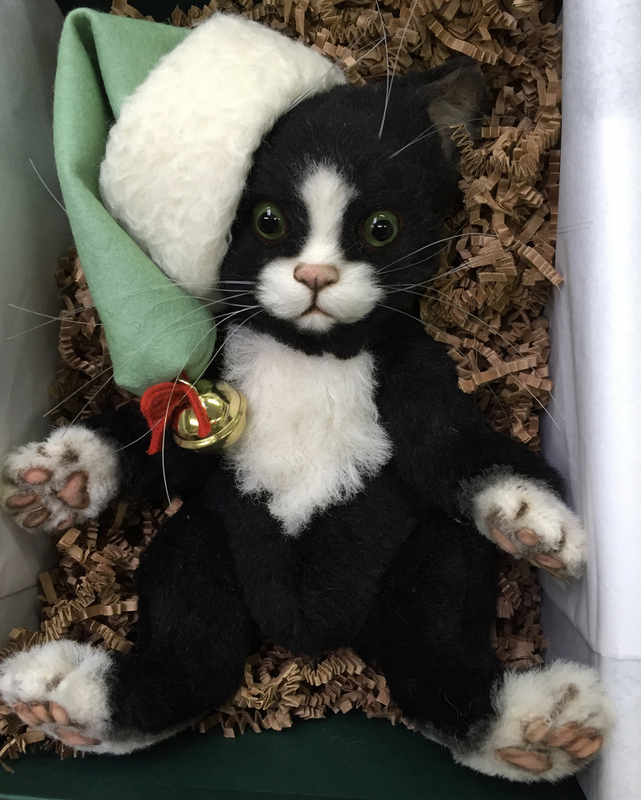 Jingles, the second kitten in the series, is constructed of the finest, pieced black & white alpaca plush. 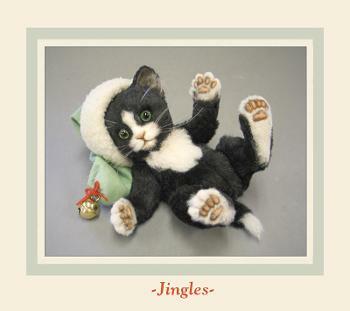 Jingles is fully jointed and measures approximately 8" seated. 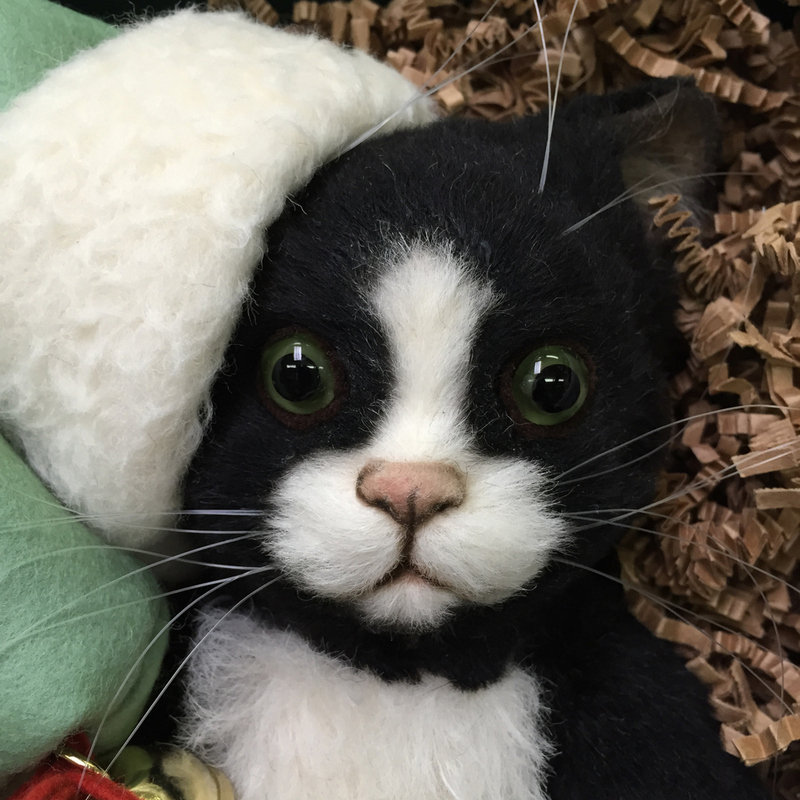 His beautiful sculptural face and ears include felt-backed German glass pupil eyes, a molded felt nose, and inserted whiskers. 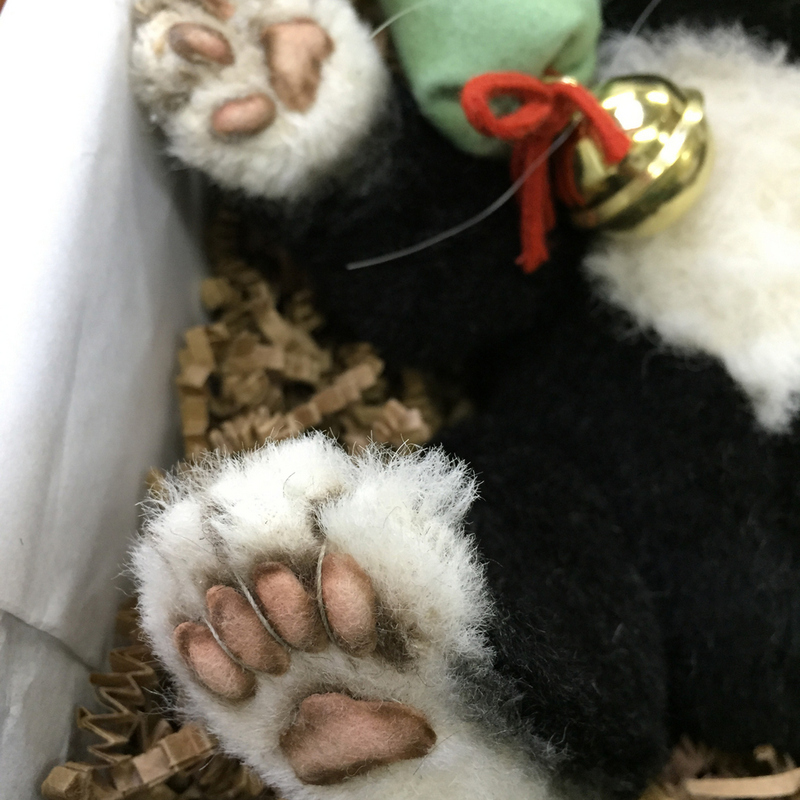 Longer fur inside his kitten ears, detailed felt paw pads, and stuffing weighted with pellets, add to Jingles' realistic appeal! 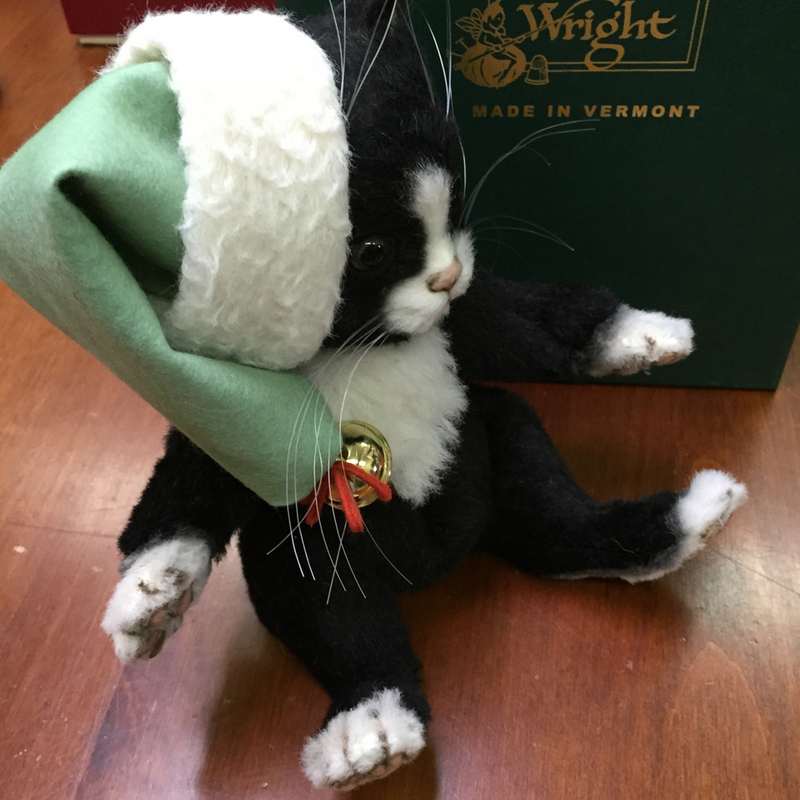 To ring in the Season Jingles comes wearing a cozy stocking hat made of shaded all-wool felt trimmed with wool plush. 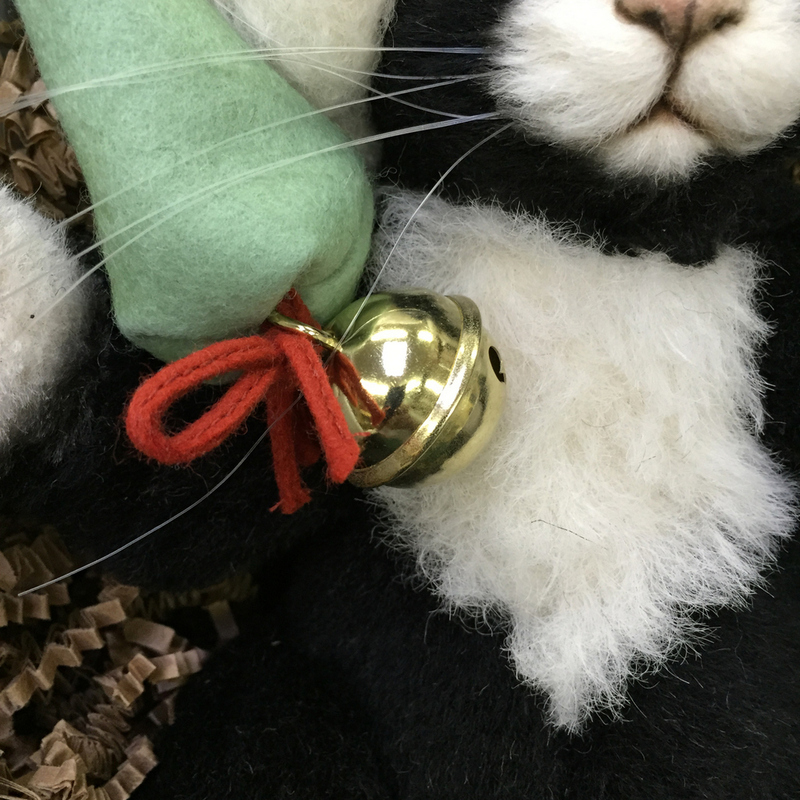 A jolly brass jingle bell provides the perfect finishing touch. 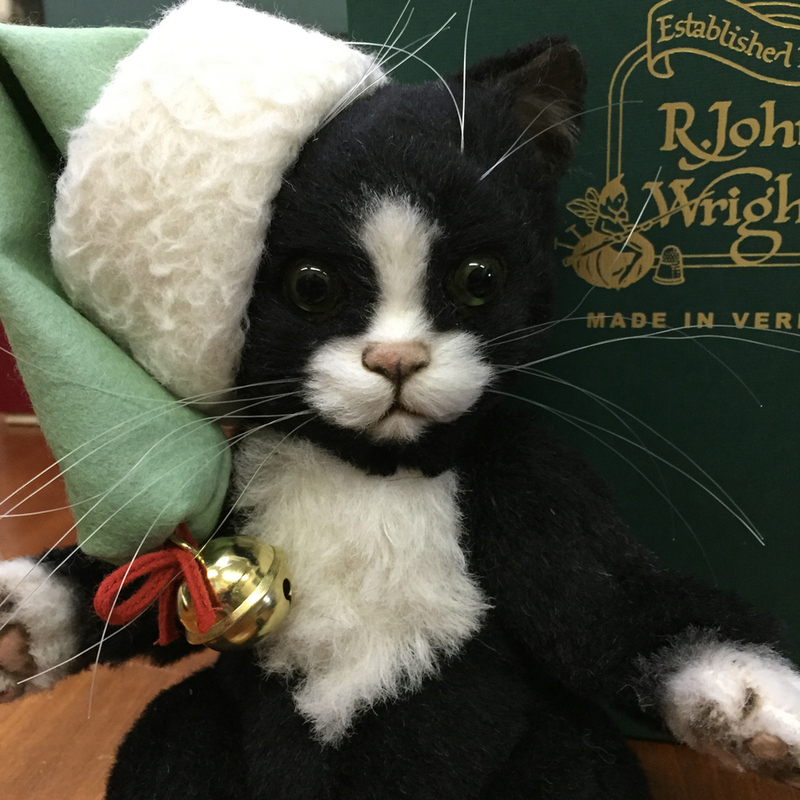 Jingles is produced in a limited edition of only 250 pieces worldwide. 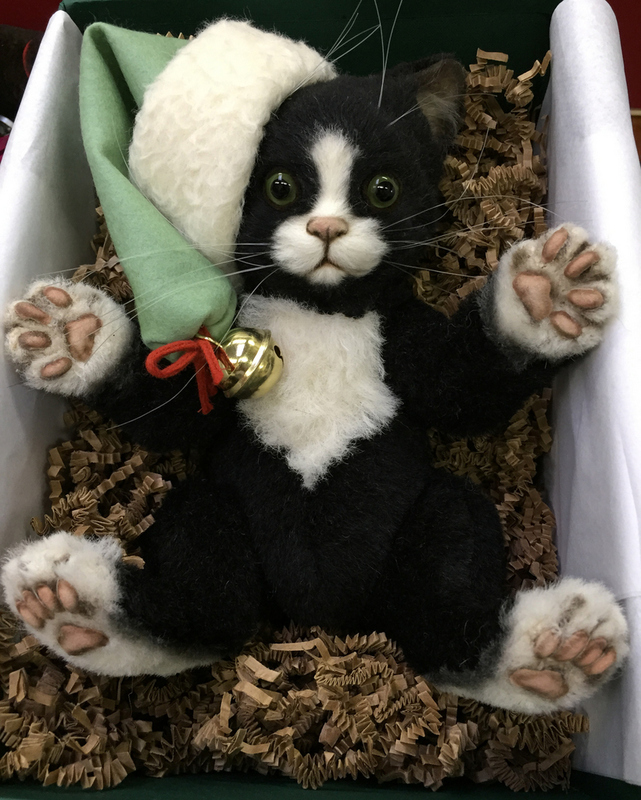 Each kitten will come beautifully boxed with a signed and numbered certificate of authenticity and the forms for owner registration. We are now sold out of this lovely piece. 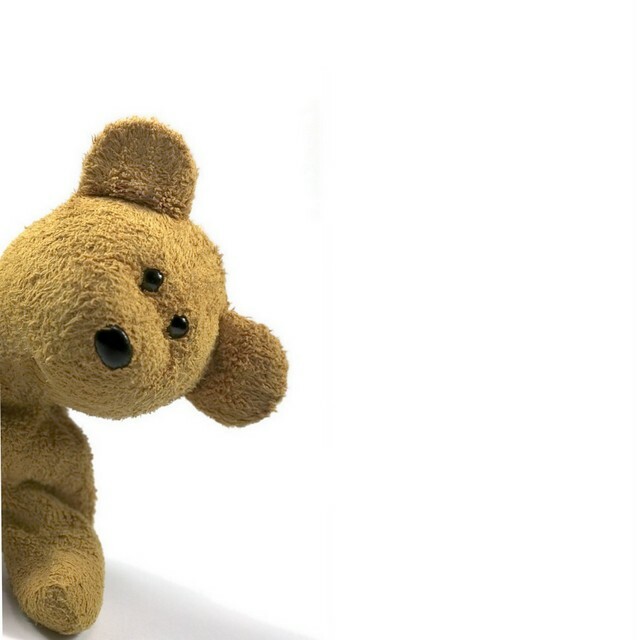 If you are looking for Jingles and would like us to help you find one from another dealer, contact us via email here. 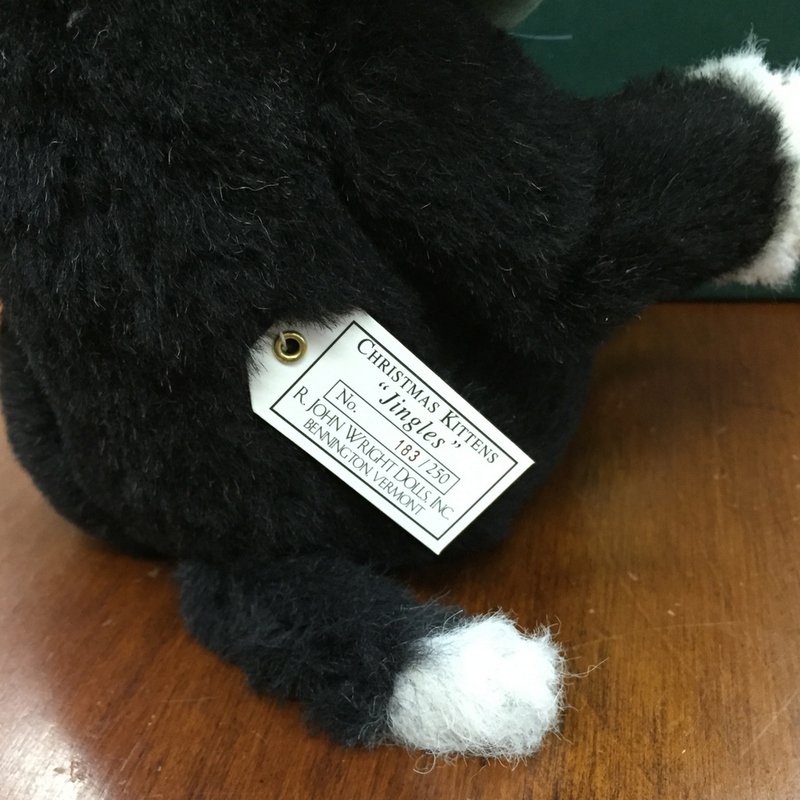 We offer a flexible payment plan for this item. Contact us for details!